Cracker Barrel Extra Sharp Cheddar Cheese Sticks Made With 2% Milk bring our award-winning cheddar flavor to a convenient, on-the-go snack. Our high standards come from a belief that cheese making is an art perfected by experts with decades of experience. 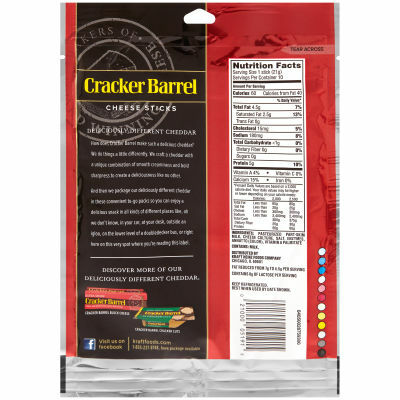 The deliciously different taste of Cracker Barrel cheese will keep you coming back for more.